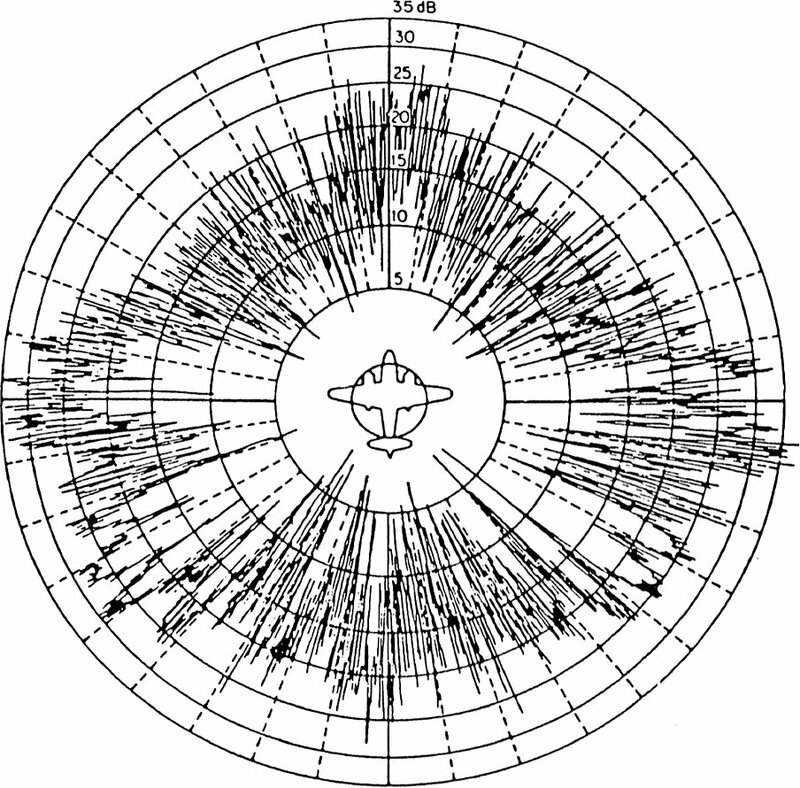 The size and ability of a target to reflect radar energy can be summarized into a single term, σ, known as the radar cross-section, which has units of m². This unit shows, that the radar cross section is an area. If absolutely all of the incident radar energy on the target were reflected equally in all directions, then the radar cross section would be equal to the target's cross-sectional area as seen by the transmitter. In practice, some energy is absorbed and the reflected energy is not distributed equally in all directions. Therefore, the radar cross-section is quite difficult to estimate and is normally determined by measurement. The use of stealth technology to reduce radar cross section increases the survivability and decreases the target detection of military aircraft. But the stealth technology depends of the used radar transmitters frequency and has none effect against VHF- radars like P–12 or P-18, both used by serbian air defense units during the Kosovo war. Radar cross section (RCS) is the measure of a target's ability to reflect radar signals in the direction of the radar receiver, i.e. it is a measure of the ratio of backscatter density in the direction of the radar (from the target) to the power density that is intercepted by the target. Since the power is distributed on the shape of a sphere, a small part of this ((4·π·r2)) can be received by the radar. The RCS of a target can be viewed as a comparison of the strength of the reflected signal from a target to the reflected signal from a perfectly smooth sphere of cross sectional area of 1 m². The following backscattering formulas from shapes occurs in an optical independent of frequency region. ...Real as the previous example. Unusual feature: the reflected energy is reflected in another direction. Well, the transmitting radar cannot receive this energy. Therefore there are bistatic radars at which the transmitter and the receivers are separated from each other spatially. (Table from: M. Skolnik, “Introduction to radar systems”, 2nd Edition, McGraw-Hill, Inc 1980, page 44.